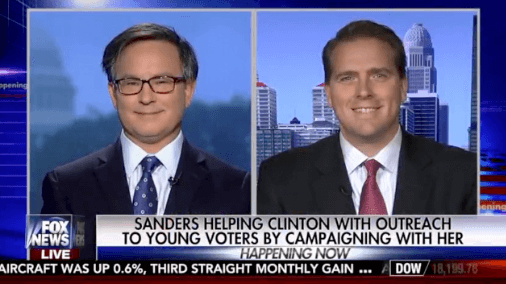 RunSwitch PR partner Scott Jennings joined Fox News Happening Now host Jenna Lee to discuss how Bernie Sanders’ presence on the campaign trail could help or hurt Hillary Clinton. Partner Scott Jennings joined Brit Hume to discuss the latest polling in the presidential election and expectations for the first debate. RunSwitch Partner Scott Jennings joined an MSNBC panel on Sunday, September 25 for pre-debate analysis prior to the first debate between Republican nominee Donald Trump and Democratic nominee Hillary Clinton. The two segments are below. Brit Hume, host of Fox News’ On The Record, interviewed RunSwitch Partner Scott Jennings to discuss which presidential candidate likely voters believe is better equipped to handle national security and terrorism. 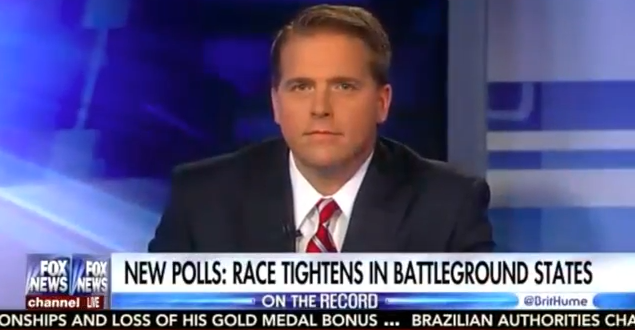 RunSwitch Partner Scott Jennings joined Brit Hume, host of Fox News’ On The Record, to discuss the recent polling in the 2016 presidential race between Democratic nominee former Secretary of State Hillary Clinton and Republican nominee businessman Donald Trump. RunSwitch Partner Scott Jennings joined Jon Scott, host of Fox News’ Happening Now, to discuss Democratic nominee Secretary Hillary Clinton’s press availability.